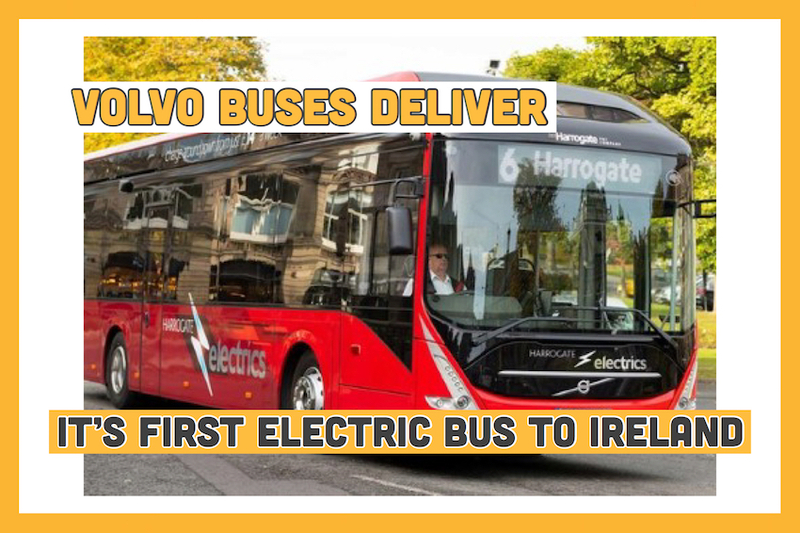 Volvo Buses Deliver It’s First Electric Bus to Ireland! Volvo Buses has been awarded the contract to supply a fully electric bus to the Crowne Plaza Dublin Airport Hotel. This will be the first electric bus to go into operation in Ireland and will provide an efficient and environmentally friendly service for passenger transfers at Dublin Airport. An increasing number of countries are shifting to sustainable public transport and electrified city buses. Volvo Buses has been selected to deliver the first ever fully electric bus to Ireland. The partners in the project are Volvo Buses, Crowne Plaza Hotel and energy company ESB. The bus will be deployed at the end of the year on a route which operates between the Crown Plaza, Holiday Inn Express and Terminals 1 and 2 at Dublin Airport. In addition to being the first commercial electric bus to enter service in Ireland, it uses high power CCS combo 2 150kW plug-in charging. The bus is a single door 12m Volvo 7900 Electric with 200kW battery capacity, which will be recharged at the Crowne Plaza Hotel. In the UK, 8 fully electric Volvo buses are in operation in Harrogate. In all, Volvo has delivered more than 4000 electrified buses worldwide. Mpire Asia Introduces Trade-In Program!